Anyone have any idea on this message? Jun 16 22:50:24 dcerouter kernel: [76470.546007] Neighbour table overflow. Jun 16 22:50:24 dcerouter kernel: [76470.546144] Neighbour table overflow. What do these mean? Is this what is causing my problem or a result of whatever it is? yeah, I went through a lot of pain to get to where I am now. I feel that Linux MCE is a lot of work to get running correctly, but its absolutely worth it! I'm using the Nvidia 8500GT. While I've seen many others having problems with it, other than loading the driver it works for me. The issue is the xorg.conf file it seems. I've not got mine up and running at 1080i perfectly. It does have overscan pretty bad, my previous ATI card did not. It is worth it to me to have the alpha-blending.. If you go with this card, load MCE, then when it first boots hit ESC to go to recovery mode, and download the envy package (albertomilone.com). Load the nvidia driver, and keep going into recovery mode until you get your xwindows environment setup how you want, so you can run startx and get into the GUI. I did it this way and it worked fine for me. Once that was working I did the normal bootup, when through the setup process, etc. Users / Re: Possible to ignore a RAID partition; not pull media into database? Thanks Roy, I think that worked. I also unchecked the media button for "living room" where this box is, so one or the other (or both) seem to have fixed the problem. One question - I updated the home/other folder and it gave me messages for all the files that they are missing from the disk now since the symlink was deleted by the system. Does this remove them from the database? I have not added a single dvd or file to the database (other than this raid automatically getting added). I'd like to start with a fresh database, but now it is probably "contaminated" from having loaded several thousand media files..
Users / Possible to ignore a RAID partition; not pull media into database? I am running a hybrid system and I have some data on a raid array that I don't want pulled into the database no matter what user. I have tried the Ignore and disabled options, and even deleting it in MCE control panel. It always comes back and adds a symlink in /home/public/data/other to the /media/xxxxx automount point that linux assigns automatically. Is there a way to prevent this from happening? I don't want this media in the database, I'm only trying to use the system for DVDs now and I don't want excess entries clogging the database when I don't intend to utilize any of this media through the MCE orbiter. I want to use the computer sometimes (as I am now) and not have to get everything pulled into the database. Please advise! Users / Re: How do we update DVD cover art that amazon can't get? Thanks for the info Roy. I think I will reload this on a 200GB drive that is non-raid so I can upgrade easier later and reinstall if needed. Can you please post the steps to backup the database? I'll do that prior to adding any media. Also, I am going to have two other sets of disks mirrored, so I'll have /dev/md0 and /dev/md1. How do I stop these from showing up in the database? I only want a few folders I pick, and I will manually add the symlinks. On my current install the raid partitions are discovered, then a symlink is added under /home/public/data/other, so all the content on both partitions was added to the database, which is probably which caused all these issues in the first place. Nevermind, at some point it went back and generated ###+1.jpg and thumbnails again. This is not working for me at all. What about the correct way to add a file in the media sync page. That is not working either but I'd like to get one way or the other to work. I'm still very interested in deleting the database if anyone has any pointers there..
Just an update, I got it working where I overwrite the existing (wrong) cover with the new pic. I just needed to do it without stopping MCE. I corrected the permissions and ownership, deleted the thumbnail, and copied the correct pic to overwrite the incorrect one. In a few seconds it auto-generated the thumbnail and its working. I still would not mind clearing the database if its possible. Is it possible to load the DVD install on an existing RAID array? Is there any way to clear out the database and start fresh with the current install? That would really be ideal. I have one movie (Bad Boys) that won't show up no matter what. I see the file, and I see it in the database, but not in orbiter. When I scan for media with no pic (this has no pic) I don't get this DVD to show up, however when I scan for all media, and search for "boys" it comes up, along with Bad Boys II. For these and other wierd database issue reasons I'd like to delete the database and start fresh. So far I have only about 100 dvds installed and none of my music collection. I was copying the image from a USB flash drive so it didn't get corrupted in the transfer. I am wondering the the problem is with this. I tried what you said below. I added a wrong pic from amazon. Then I stopped MCE, deleted the thumbnail, and overwrote the ###.jpg file with the new image. The permissions and owner were exactly as the original file. When I run updateMedia -t it creates a new ###+1 with the old file and uses that in orbiter. Is there a way to just scratch the entire database without reloading MCE? Like I said if it was the dvd install I would but I have to load Kubuntu on raid, then do the MCE cd install on top of that. Plus I have 100s of gigs of data I'd have to move off and put back that is on the main system / partition. I have a lot of wierd stuff going on with my database I think. Also what is the procedure to not get all raid data pulled into MCE? I have a raid partition that is mounted as root which MCE is installed on. THen I have another 2 disks with another raid partition. These are visible in configuration/RAID but I don't really want them to be. I manually created the symlink to a bunch of DVDs stored on the second partition. There is some media on the system partition (not in /home/anything) and I don't want that being entered into the database, but it has been before when it was in a home directory (user jmc). I think I messed up by resyncing from the /home dir so that must be when it pulled everything in. Like I said, I would like to just blow away the database. I don't mind re-updating all my cover art, etc. I hope there is a procedure for this. Thanks Roy. Just to clarify, anything I download from amazon works great. The problem is when I can't find something to match up, I want to add my own cover art. This seems to be supported since it lets me add a pic in the edit media page. 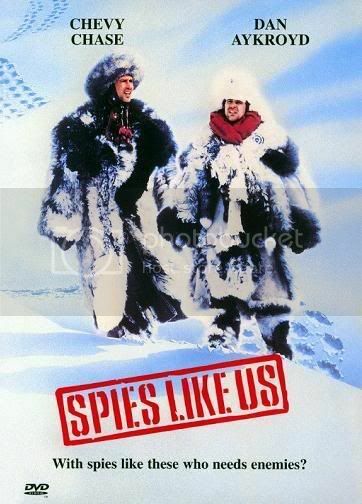 For the movie above, Spies Like Us, I can see the pic and thumbnail just as you describe. When I click on the link it works fine, it opens the full pic ###.jpg in a new tab and I can view it. I did reload the orbiters, router, and system and it still does not show up. A reinstall is out of the question at this point, this is a brand new install. All I have done so far is copy 100 or so DVDs to my public media directories and update cover art. If this wasn't built on a raid array I would have no problem doing the install over again. I don't see why that would be required now since it is still a new installation. Like I said, the problem is adding my own covers, amazon imported ones are working fine. I asked above about adding a pic through amazon (which will work), and then overwriting the ###.jpg and ###-tn.jpg files with what I actually want to use. Is there a way to get that to function as a workaround since the normal route is simply broken? Is there any documentation on this as far as specs of the files to use, or any tricks? It seems to be a simple process to add pics, yet it is not working. That is a little work but I'm willing to do it to have the correct cover art, not some foreign version or HD, etc. Here is the image I used in the above test, but I've tried other DVDs/images the same size and type. Users / Re: linuxMCE is still not ready for real life! I'm a newbie although I've done about 20 installations now while demoing, and finally deciding to go with it and loading my current installation. It does have some minor issues, but I'm sold on 0710. There are a few things I want to see fixed but I am willing to wait. Thanks to all the developers, you are doing a fantastic job thus far. This is a very complex operating system, not a simple little program. It is going to take time to get the bugs out. How often do new releases come out? I'm running 0710 rc2, will there be rc3, rc4 or 07xx next? Any ETA? I'm just curious since some of my issues will likely get fixed in new versions. Also I have had lockups, but not when I'm using the system. Typically so far I have had it happen after a few days of operation. The next morning I turn on the TV and can't get video from the Nvidia card. I see HD activity on an off so the system hasn't locked up, just can't get video so I have to power cycle. I did hit the connect button on my fiire chief and heard no beeps though, so that tells me something is not right with MCE. I'll check the logs next time this happens. Is everything contained in /var/log/messages? Another thing I've tried is to add the "wrong" pic from amazon, then overwrite that file, but the database picks up on this and creates a new file ###+1.jpg and ###+1_tn.jpg. Is there a way to overwrite these files it uses with valid ones and trick it to use the existing ones? I tried this even after stopping linuxMCE and starting it after and it still picked up on the fact that the file had changed. Does it keep track of the size or last modified information? Is it possible to do this? I don't mind it, it's a small percentage of the DVDs, less than 5%.